yAvaiyum allan ilagum uyir = or any other things in this world cannot have a name that is forever and cannot be identified with any such name. “Urva padhinonRAm, Onbadhu mAnidam, nIr, paRavai nAlkAl, Or pappathu, sIriya bandhamAndhEvar padhinAlu, ayan padaitha andhamil sIr thAvaram nAlaidhu. makkal, vilangu paRavai, Oorvana, nIrunthirivana, parupadhama enavivai yezhu piRapAgumenba”. The births of bodies in which soul go into based on the deeds is being explained. It is because soul manifests itself in countless bodies for eons, when that soul is present in a particular body at a particular time, the soul thinks that “I am a dhEvan”, “i am a man, “i am an animal”, “i am a plant”. It gets a pride associated with “I” prefix above.However, this condition of a soul is only before it realizes its true nature. To realize the true nature of a soul is to realize that for sriman nArAyANan, the soul is neither a tree, nor a plant nor an animal nor a dhEvan and for that anything else. The soul would only think that it is a servant of sriman nArAyANan alone and to no one else. ilagum uyir nAn: The “nAn” at the end of the pAsuram should be associated here. This “nAn” means the soul which is always living and never can be destroyed. The preceding adjective “ilagum” for “uyir” behooves us to understand the characteristics of it as laid out by sAshthrAs. “uyir” (soul) is knowledge personified, happiness personified and resplendence personified. This also differentiates a soul from non-living entities because it possess knowledge that the non- living entities does not possess at any time. We should take note of what svAmi piLLai lOkAchAriyAr told in his “thathva thrayam” (chith prakaraNam). 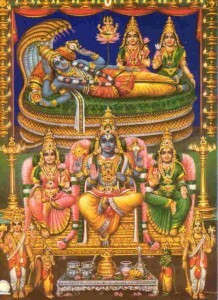 “Athma svarOpam senRu senRu paramparamAi engiRapadiyE dhEhEndRiya manaha prAna budhdhi vilakshaNamAi, ajadamAi, Aanandha rUpamAi, nithyamAi, aNuvAi, avyakthamAi, achinthyamAi, niravayamAi, nirvikAramAi, gyAnAshrayamAi, Ishwaranuku niyAmyamAi, dhAryamAi,seshamAyirukum”. pUvin misai: As per svAmi nammAzhvAr’s thiruvAimozhi 4.5.2, “malar mEl uRaivAL”, it means that ONE who is the husband of the beautiful one who sits on top of a beautiful lotus flower. aNangu refers to periya pirAttiyAr who is full of godly characters including one who has the highest form of beauty. “kELvan” refers to husband and in this context refers to perumAL sriman nArAyANan. amalan: ONE who is the exact opposite of all bad characters. aRivE vadivAm nAraNan: sriman nArAyANan who is characterized by “knowledge personified” and “happiness personified”. thAtkE adimai : The jivAthmA is subservient to those divine feet of sriman nArAyANan only and to no one else. The name “nArAyANan” means ONE who has everything other than HIMSELF as his body and ONE who is the place for all these parts to live in. Such a “nArAyANan” is the life (uyir) for everything except HIM. These other things are the body parts of HIM who houses them in HIS body. The “jIvAthmA” who is defined as one who is full of knowledge, full of happiness, is neither a dhEvan, nor a human, nor an animal, nor a herb, nor a shrub, nor a plant. 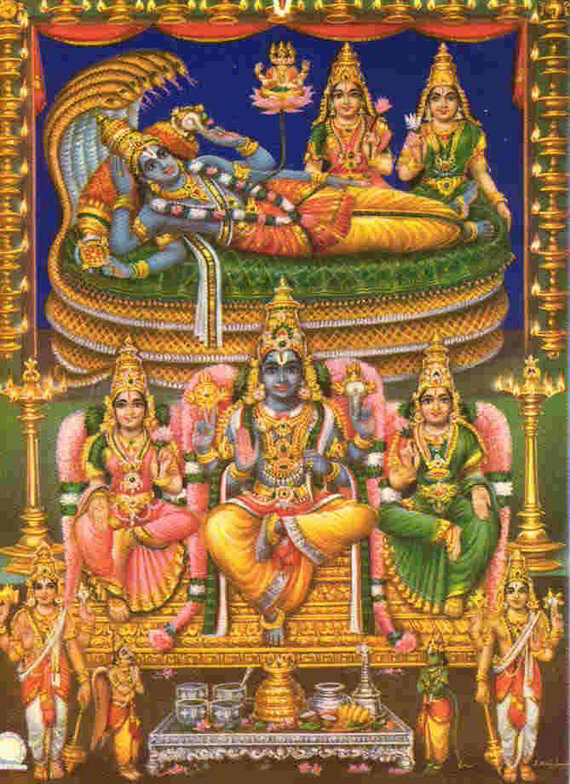 jIvAthmA can be defined as one who is subservient to sriman nArAyANan, the husband of beautiful periya pirAttiyAr who sits on top of a beautiful lotus flower. Such a sriman nArAyANan is diametrically opposite to all bad characters, is the life line of all living and non-living things in the universe.